As featured in Australian Womens Health Magazine - July 13 issue out now! This amazingly simple yet effective Theracane self-massager makes it easy to apply pain-relieving deep compression directly to hard, knotted trigger points anywhere they occur - breaking up tension even in the hardest-to-reach muscles between your shoulder blades! 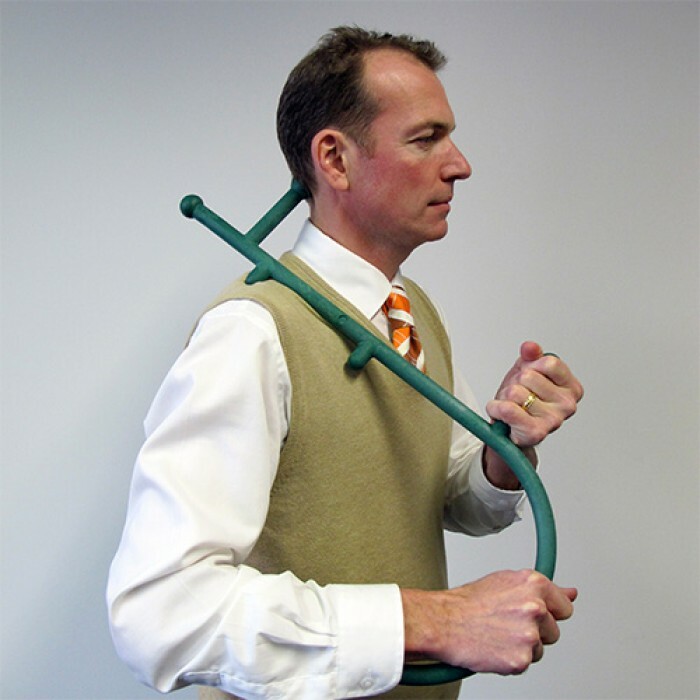 The name Theracane actually comes from the term - Thera Cane Back Massage Trigger Point Therapy Tool, but we think Theracane is a bit easier to say ! If you have limited strength or mobility, Thera Cane's patented design gives you all the reach and leverage you need. It 's made from unbreakable plastic and its so easy to use. Pressure applied to the muscles by the Theracane helps to maximize the flow of oxygenated blood to the muscles. This pressure aids in restoring muscle function by breaking up adhesion's in muscle fibers and tendons. The increased circulation helps the muscle to work more efficiently. The Theracane provides temporary relief from muscular tension, stiffness, tenderness and soreness. It's simple to use and it puts relief where it belongs, in your hands. The personal involvement necessary for using the Theracane leads to an increased desire to take more responsibility for one's own health. Using the Theracane regularly will put you in touch with your body, closer than you've ever been before, not to mention putting you in control of minor muscular aches and pains. You are never alone when you have your Theracane with you. We all have muscles that occasionally get sore. It might go unnoticed until we reach for something, or bend over. Sometimes a twist or turn is all it takes. This might produce a crick in your neck or a hot spot between your shoulder blades. Either way it can hurt and it just won't seem to go away. We've all tried rubbing the muscle to make the pain lessen. However, it's hard to get in deep enough, or do it long enough, or maybe you just can't reach the spot on your own. 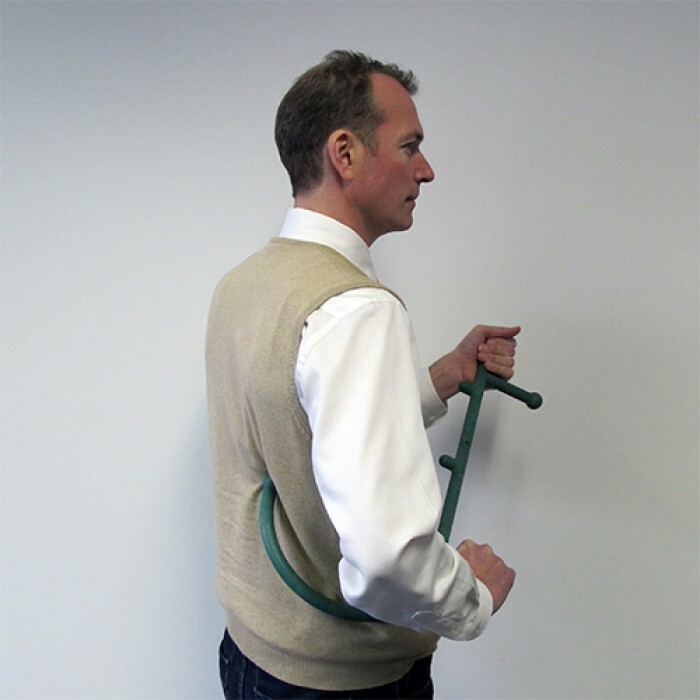 With the Thera Cane you can apply deep pressure massage to the back, neck, shoulders, legs, hips, arms, buttocks, anywhere and everywhere... and we show you how. The Theracane is used by thousands of health care professionals in a wide variety of clinical settings. Therapists and Doctors from many specialties are making the Theracane an integral part of treatment for their patients who suffer from muscular pain and discomfort. Due to health restrictions this item is non returnable, unless faulty or damaged. Unique patented Theracane design, four patents awarded.